I made this piece with the central figure holding up a braid of sweetgrass, a plant medicine, to the sky as an eagle flies above Lake Oahe. 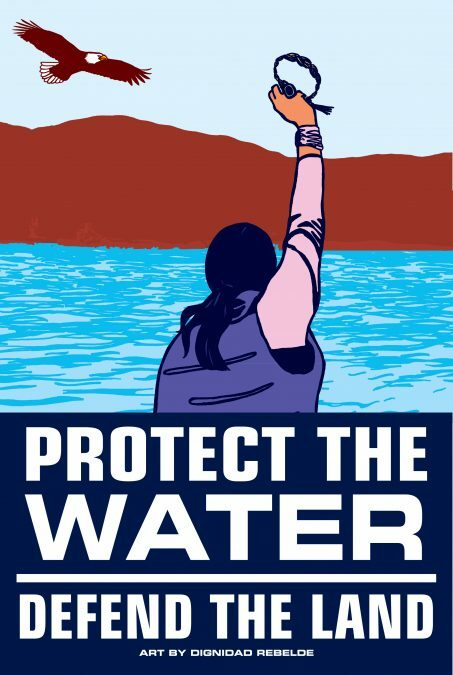 Texas based Energy Transfer Partners, in constructing the Dakota Access Pipeline wants to drill across the Missouri River at Lake Oahe which provides the Standing Rock Sioux with their drinking water. This is only half a mile north of the Standing Rock Sioux reservation.